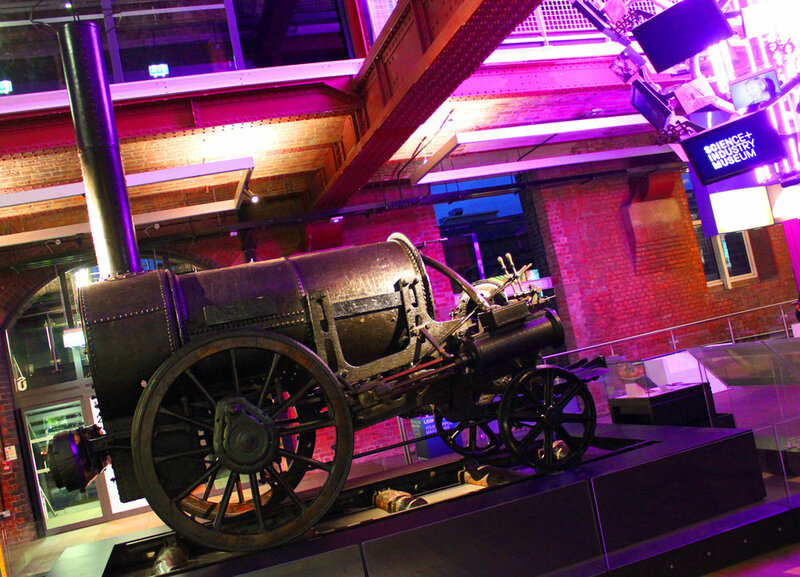 Zest were asked to deliver a cocktail bar service at the Science and Industry Museum to welcome the return of ‘The Rocket’. This occasion was to mark one of the very first steam locomotives returning to the Manchester-based museum for an exhibition. The cocktail service needed to include some bespoke, themed cocktails that tied in with the ‘Return of Rocket’. 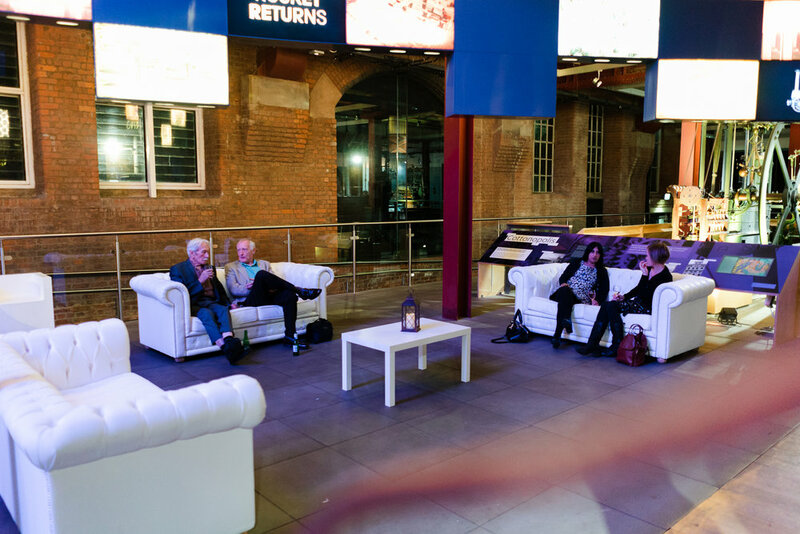 We installed 12 metre’s of LED bars with white lighting and branded panels with the museum logo. This created a visually stunning effect and provided ample space to for a full bar and cocktail service. Behind the bar we had six fridges each with a set of back bar steps to display all the cocktail spirit bottles. Adding these items to an event ensures a smooth operational service and looks fantastic to guests ordering drinks. We also added vases of flowers and LED up-lighters to light up the bar, these final touches that make all the difference. Three cocktails were on offer to guests at the event served in a selection of elegant cocktail glassware. 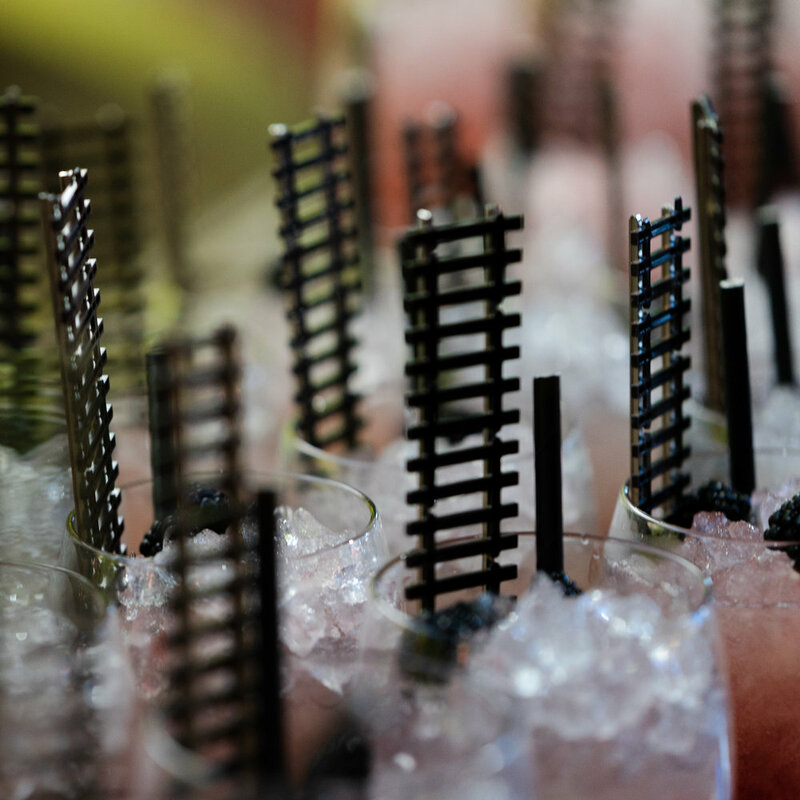 Each of the Bramble cocktails event came with it’s own piece of train track to keep as a memento from the event. Staffing the bar we had two Flair Bartenders and three Cocktail Mixologists all lead by an experienced event manager to ensure a smooth and seamless service.